Fusion also offers some really great 3D capabilities. Besides being able to import 3D cameras, geometry and data, Fusion also allows you to create 3D text from scratch in your composite. The Text3D node allows you to create some text using any of the fonts you have installed, and then extrude it and give it depth and shading whilst maintaining control over font size, kerning, and font choice. This can be a real time saver when you are creating motion graphics with lots of text. Instead of the normal back-and-forth between a 3D application and compositor, it can all be handled in Fusion. Shading and lighting are also part of the 3D toolset in Fusion. You can bring in 3D meshes and light them as you like using the various light sources like point, ambient, or spots. Deep Data, Optical Flow, and Stereo workflows are supported in the Fusion 8.2 Studio version. Fusion 8.2 does not include the Stereo workflow tools, or the Optical Flow toolset. One area that really stood out to me, were the particles tools available in Fusion. Lots of great nodes that give you lots of control over how your particles behave, and react with one another in a scene. I was pleasantly surprised to see how many particles I could have showing in the viewport before my MacBook started to slow down. One thing I would have liked to see, was a folder of presets that one could load, and customize to your liking. Overall though, a really nice set of tools that give you even more control and flexibility in the composite. Creating a little dust hit here, or a colliding rain system there is totally possible. It would be a nice addition if users had access to a toolset that allowed them to animate and manipulate shapes and text a bit easier. Fusion comes with a great Follower modifier that allows to create text effects with lots of control over per-character text animation for motion graphics work. Animation presets in line with what After Effects has to offer would be a welcome addition. 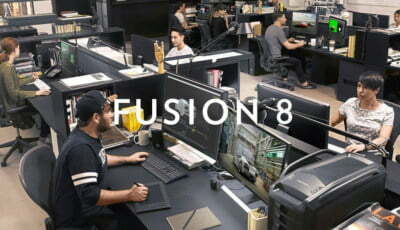 As mentioned previously, Fusion 8.2 is available in two versions. The main differences between the two comes down to whether; A.) You will be doing stereo/optical flow work or need to use plugins from third party companies, and B.) You work in a studio and need multiple licenses for artists and/or rendering. If the answer is Yes to either A or B, then you will want to look into Fusion 8.2 Studio. Also with Studio, you get access to unlimited network rendering, and scripts that can help automate things on your network. Fusion 8.2 does not come with this customization so you will only be able to render through the compositing interface. Generation is a project management toolset in Fusion 8.2 Studio that allows for collaboration between multiple artists working on the same project. Supervisors and producers can assign and track shots, keep track of their status, and even review and annotate dailies so everyone is kept in the loop. This is something similar to Shotgun Software which also allows for tracking and reviewing shots. In conclusion, Fusion 8.2 (Studio) has a lot going for it. 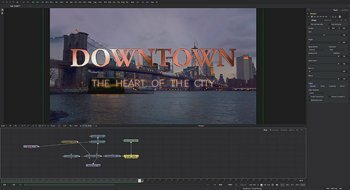 It is a really great piece of software that has all the tools any budding or experienced compositor might need. With Fusion 8.2 being free, and the full Studio version coming in at $995, this tool is a steal. It has a nice clean interface that allows you to immediately understand what is going on in the composite, and with the default toolset it can easily keep pace with its competitors. A better method for dealing with multichannel EXRs would be a nice addition, as it would speedup and ease the compositing workflow. Fusion has also been around for many years, so there is also a great wealth of tutorials out there that will get you started in the right direction. Joël LeLièvre is an FX Artist who works in film, television and print. He has worked on features like Transformers: Dark of The Moon, Tron: Legacy, and Day After Tomorrow. You can find more about his work at Divisionof8 and Delicate Machines. Cover and "Downtown" images are (c) Copyright Blackmagic Design, all other images are property of Joël LeLièvre. It’s not perfect but in the loader you can access more channels, in the format tab. The exr loader comes with a preset list of channels by which you can assign the exr multi layers. Again not perfect at all, but there’s a bit more then just split out loaders. 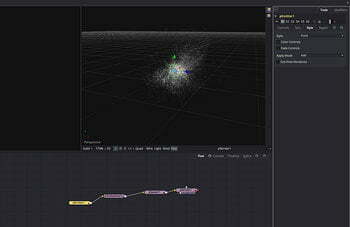 >Fusion is a node-based compositor, offering a very similar workflow to its competitor, Nuke. Fusion has been >node-based as far as I can remember, even back in 2002 when I used it just out of school, which pre-dates >Nuke as we know it now. 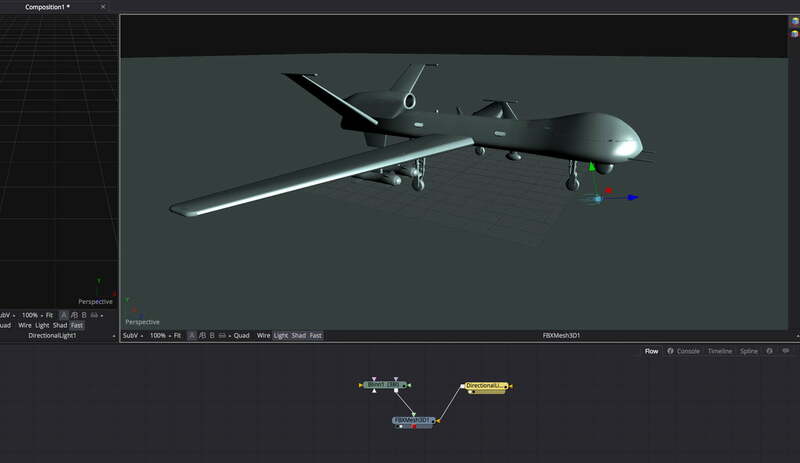 The node based workflow and interface we see today in Nuke has remained virtually unchanged since 1993 / 1994, when when development on the software started at Digital Domain. The interface changes that the Foundry has made since have been mildly evolutionary, but thankfully the basic design remains the same.